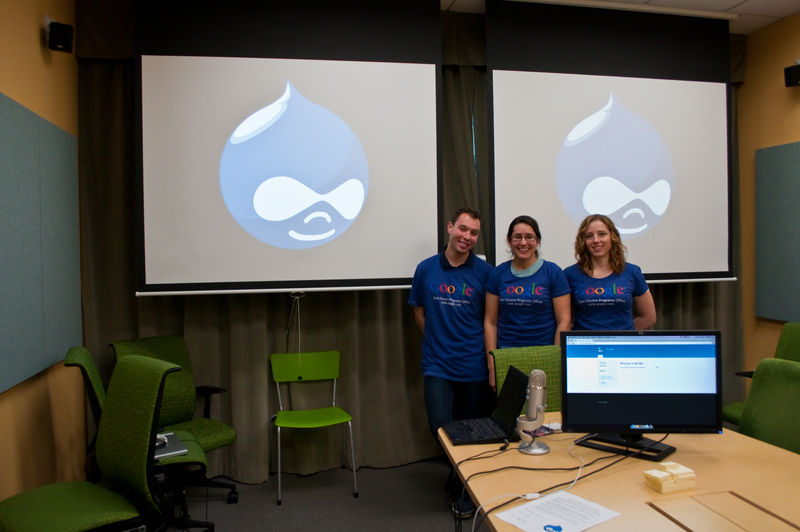 I am excited to announce what a huge success the Drupal usability studies were last week! We livestreamed 8 usability sessions using both Google+ Hangouts on Air and Livestream.com and had over 115 people watching live! The exciting conversations taking place in the #drupal-usability IRC channel proved how powerful live events are; the community truly came together through a process of collaborative brainstorming and experiencing the struggles of new users collectively as they happened. Our usability lab setup was flawless thanks to the masterful help of my friend and coworker Garen Checkley. Jen Lampton from Chapter Three served as the help desk support for study participants during the session. I moderated the sessions and walked participants through different tasks that we created along with the help of Bojhan Somers and Angie Byron. We divided our study participants into 2 groups to study; one using vanilla Drupal 7 to observe where new users had trouble understanding the the basic system, and one working with a custom Drupal 7 install that already had specific contrib-modules installed and enabled to gain insight into usability issues with specific interfaces, especially the hugely popular module Views." Currently we are beginning the process of turning our findings into actionable items that we can put into issue queues. The Drupal Usability group will work hard to act on the results of this study to improve Drupal. Recorded videos of the sessions can now be viewed on our YouTube playlist. Additionally, I have posted a video of my presentation “User Experience for You and Drupal too!” with Jen Lampton from Drupal Camp San Diego (SANDCamp) in an article on my blog. Be sure to check out the video for an overview of fundamental principles of user experience and how UX has evolved in the Drupal community. When our findings and results from the study become more refined, Garen will write another blog post on this blog to share our findings and some more links. 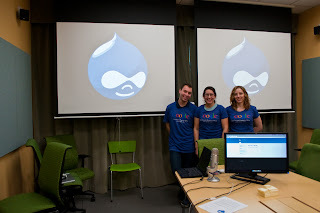 Until then, make sure to get involved with the Drupal Usability group if you are interested in helping to act on the findings of these studies and continue to make Drupal better!